marketing the package that you just purchased from us! Firstly we'll like to thank you for putting your trust in us and we're committed in your online success. We've put together some awesome materials which fully complement the offer that you just secured. These materials are designed to give you a competitive edge as well as save you a lot of time and money. Please take note that the main package you bought a moment ago is complete and you can make tons of cash selling it. So take a moment to review it and secure your copy as it's a once-in-a-lifetime opportunity! 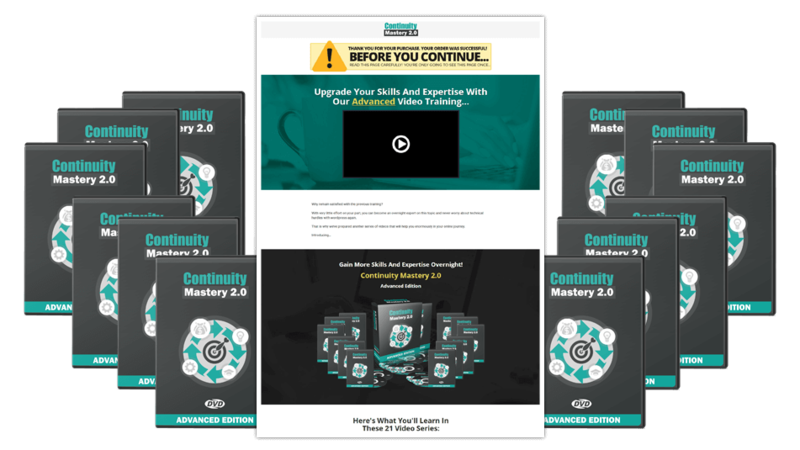 Your upgrade package includes an advanced video series you can offer to your buyers to increase your profits even further. If just 1 in 2 buyers also purchase the upsell (at three times the price of your front end offer), you're looking at up to 300% more revenue without spending a single penny more on traffic, or doing a minute of extra work. 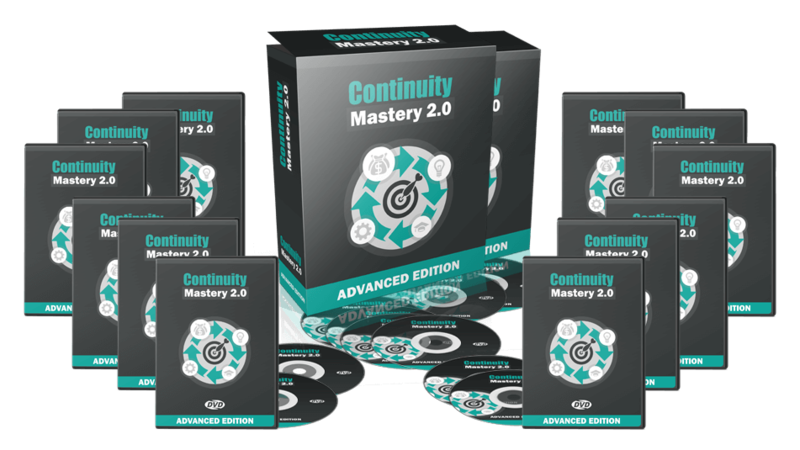 This is the UPGRADED course which contains 21 advanced video modules that will bring your customers business to the next level. This is also a very practical course, with easy to follow instructions. No fluff theories. Only actionable steps to succeed. The total video running time is about an hour long with full of awesome content. 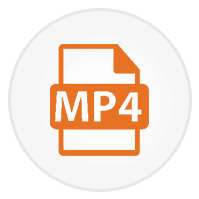 Get absolute control over the upgraded video content you want to sell to your customers. Do you want to customize these presentation slides with your own brand? We provide you all the Presentation slides that we used in the advanced video training series for your easy manipulation. 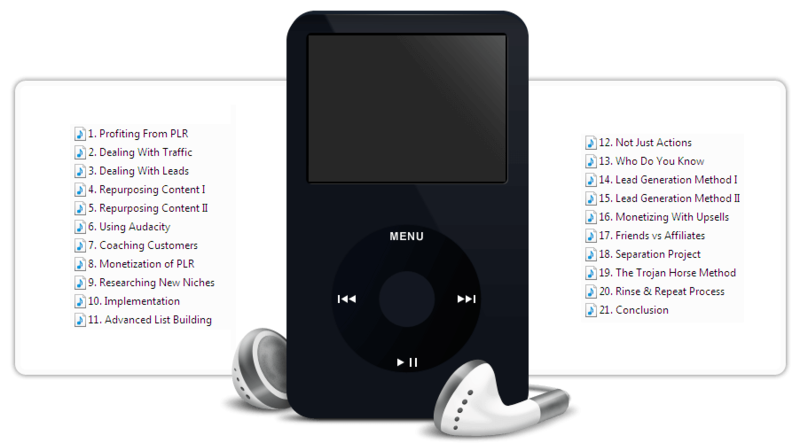 You can even reuse them for your own webinars and even split them into multiple parts for other mini coaching. These presentation slides can be re-used and reworded as you wish. 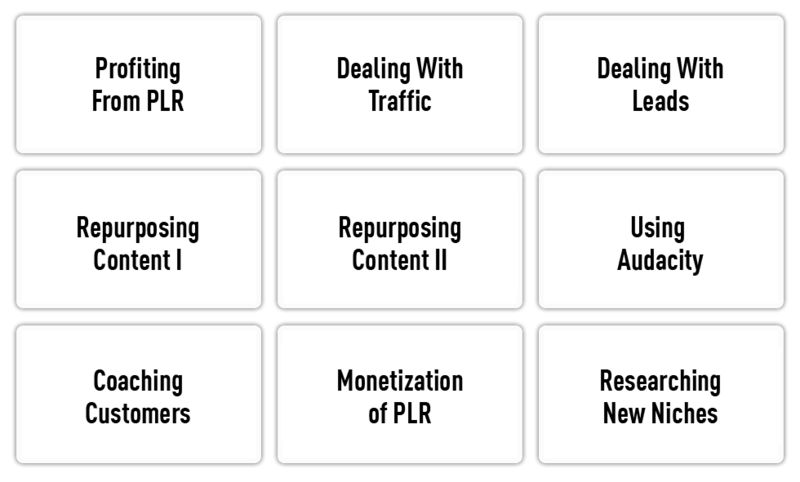 We've spent several days writing and structuring these content before recording. How about adding more value to your upsell customers? 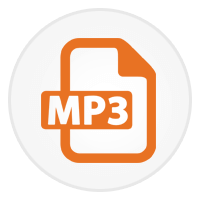 Or if you want – you can even combine those MP3 files into a separate module where you can sell it for a fee. Use this ready-made upsell sales letter to experience super high sales conversions for this advanced training that your customer will have the option to buy right after the front end. Following a proven and time-tested copywriting formula, this upsell sales copy also uses the hybrid video sales letter approach that is guaranteed to bring you results. We also went ahead to prepare an upsell delivery ‘thank-you’ page upon they make a purchase. It’s all ready-to-go. People love watching videos before they make a purchase. So we got you covered! We are making your sales page LIVELY by adding a professionally done sales video message on it. This video has been carefully crafted using the 'conversion booster' formula that will ENGAGE your existing customers to spend money with you AGAIN. …to produce and that again, you need to make sure that the message is appealing enough to engage your customers and get them to buy again. We simply couldn't resist the fact of doing additional designs for you to present the upgraded version of this video series. These nice looking graphics help convey the right message at the right time. It's your upsell video product, and maybe you want to customize the look and feel to set yourself apart. That's why we include the PSD Photoshop files for all the graphics, so you or your designer can quickly and easily make whatever adjustments you'd like. …for that type of project and not counting the time spent with them to review and also to explain to them your needs. This is definitely a conservative value. The secret to creating massive wealth is by leveraging on other people's resources to make you money – 24/7. We've done all the hard work to arm you with everything you need to raise an affiliate army promoting your product non-stop. To make it super easy to recruit and motivate affiliates to bring traffic to your offer, we'll provide you with an affiliate page already formatted with animated banners and the swipe emails for your affiliates to use. We even have a 'rebrand' feature where your affiliate can customize all the tools provided with their affiliate links inside at the push of a button. All they need to do is COPY and PASTE. This will be the easiest promotion they'll ever have to do. They'll love it. 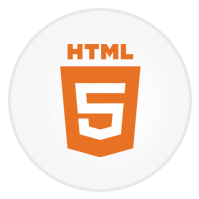 …for building this page and also for coding this 'rebrand' script that automatically customizes all the tools. This is something awesome that you simply can't get everywhere. We have prepared a set of THREE highly effective emails ready to use, so you can provide them to your affiliates to skyrocket your sales by promoting this video training. These emails will generate a craving for your product. Your affiliates just need to set them up in their autoresponder, and then they (and you) will be ready to make some more easy money. The emails were written to 'hard-sell' your products to achieve maximum results. They are already integrated inside the Instant Affiliate Promotion Center and can be immediately customized. …for writing 'pitch' emails like these. These content were written with an angle to bring the maximum open rate and clicks. Banners are highly effective when used to advertise online. Animated banners grab viewer's attention a lot more. So we have decided to create a complete set of NINE banners, so you don't spend unnecessary time and money creating them. All these banners come into standard dimensions that your affiliates can use on their blogs, websites and even on banner ad networks. All they have to do is to just grab the codes which is already integrated inside the affiliate promotion center and paste them inside their campaigns. These awesome banners will drive a swarm of visitors to your site when used effectively. …for those 9 banners in different dimensions. All these dimensions are proven and are used everywhere. So your affiliates will love sticking them everywhere. Without traffic, you cannot make sales. While you're waiting for the affiliates to promote your site, you still have to get the word out about your product. 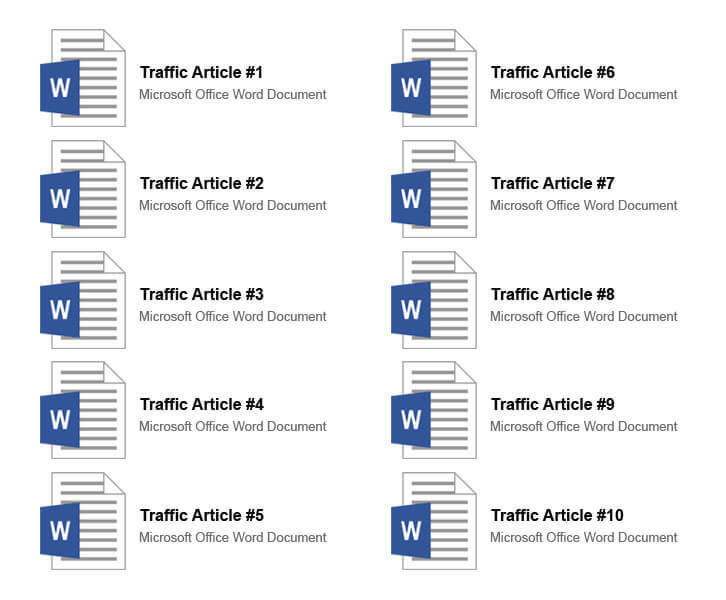 Start driving traffic to your offer with a set of 10 professionally written, high-quality articles to get your website visitors excited about your product. You can use these articles as your own or you can simply give out to affiliates to post on their website to drive traffic to your offer. Another idea would be to even turn it into a small PDF report and give away for free to drive viral traffic. …if you were to outsource it. 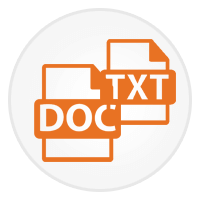 You'd need an experienced writer in the internet marketing niche to be able to write these content as they are very technical. While you can sell this product to the end-users and make a lot of cash from it, we don't want you to miss out another BIGGER money-making opportunity which is to be able to SELL reseller licenses. That way you'll be able to grow your income portfolio and instantly double the amount of money you can earn from this ONE product. There's a LOT of money to be made in reselling this package along with its sales materials (not source files). There are so many people looking for this opportunity and would be willing to pay a huge amount for it. You can even transfer the 'Resale Rights' to those marketers after branding this product with your website address. So when they sell the video course with your website information inside, they'll be promoting your business for free. A true viral marketing campaign. This is HUGE. You need this! And this offer is unique. You'll be able to sell the product PLUS charge a PREMIUM for 'reseller license'. Adding another stream of income to your business. This package will give you an UNFAIR advantage over your competitors. We're arming you with everything you need to become an INSTANT AUTHORITY in this niche market. For FREE With Your Upgrade! This is totally a UNIQUE package that you’ll find nowhere else. We call it the ‘Learning Center’. We understand that in today’s business arena, you absolutely need to have a presence. Having a simple page website with a sales copy isn’t enough to make it big. So we went a step ahead by creating this Plug-n-Play learning center which contains free content to your website visitors. We also provide you with 4 additional training videos that pre-sell your product extremely well plus we also picked 12 articles above and created professionally awesome pages with them. All you have to do is to link it to your sales copy with a little link at the bottom and you’ll be ready to start receiving traffic from Google to it. There’s no better way to presell your offer than providing video trainings. This is part of the learning center above. 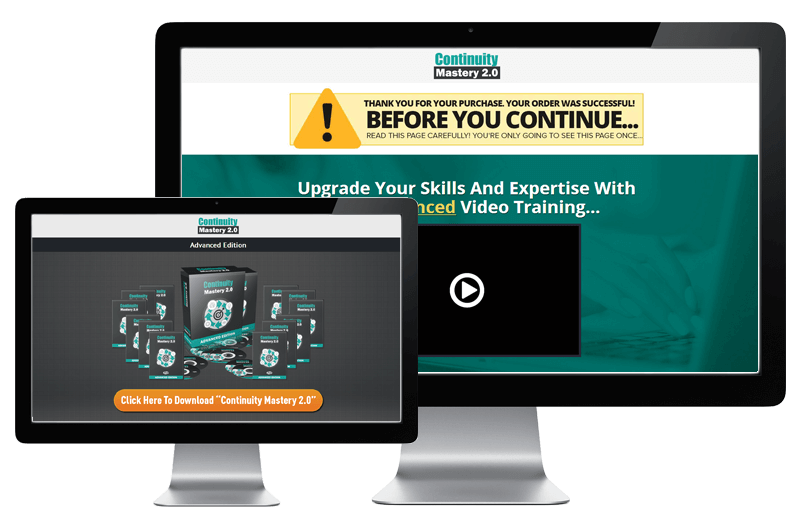 Once they click on it, they will be able to view the 4 video trainings FREE and on the very same page, we include a link to your offer for them to check it out. Everything is ready to go. No guess work. It’s a complete done for you preselling system. Each of these 12 articles pages contains YOUR banners promoting your product throughout the content. Your visitors will have multiple contacts with your offer and hence it’s easier for you to get them to buy. The banners and product graphics are strategically placed on the page so that they get the maximum eyeballs and click-through rate. All structured and ready for your convenience. 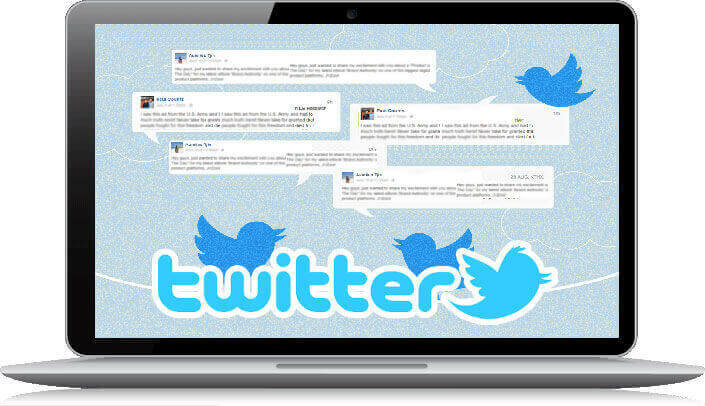 Twitter remains one of the easiest ways for you to keep driving traffic to your site. With these ready-made call-to-action tweet messages, you can copy and paste them to your twitter account and send to your followers anytime. Those messages will get them to check out your offer and also keep them interested in reading more of your tweets. These messages can drive tons of traffic to your website if used properly and it’s all done for you! 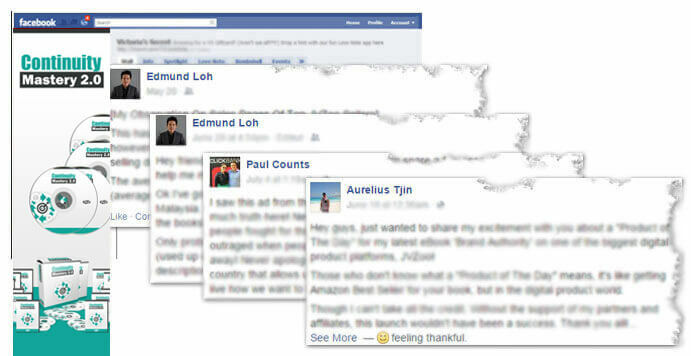 Leverage on Facebook to drive insane traffic to your website. These 10 content posts will help you establish yourself as an authority in your niche. People will love the content and also be willing to share it with their contacts. You’ll be able to set up a viral traffic machine without much effort on your part. All you need to do is to copy and paste. It’s all done for you! No thanks, I don't want to upgrade my purchase!